Dance Trance is made up of an entire network of enthusiastic choreographers and dancers. We have been working together for over 20 years to bring our students the best in music choreography. This concept is unique because it allows more than one choreographer to design the program. We take a team approach to choreography. The class does not get “stuck” with just one form of choreography, movement, or music. We like to mix it up! Our students have access to the best Jazz, Funk, Latin, Reggae, Street, Hip Hop, House, Pop, & Rock choreography offered today. Our choreographers are located at DT studios around the country, which allows us to bring creative juices that are involved from many different cities, regions, and environments. New choreography is created and available to all of our studios on a quarterly basis and may include selections from any of the musical styles. Because of the diverse backgrounds of our choreography team, the movements and style of each song are very different. This creates excitement, versatility, and a deep bond with all of our students. Our class never gets old or stale. We have the ability to add new routines weekly, monthly, quarterly, or whatever our student population desires. 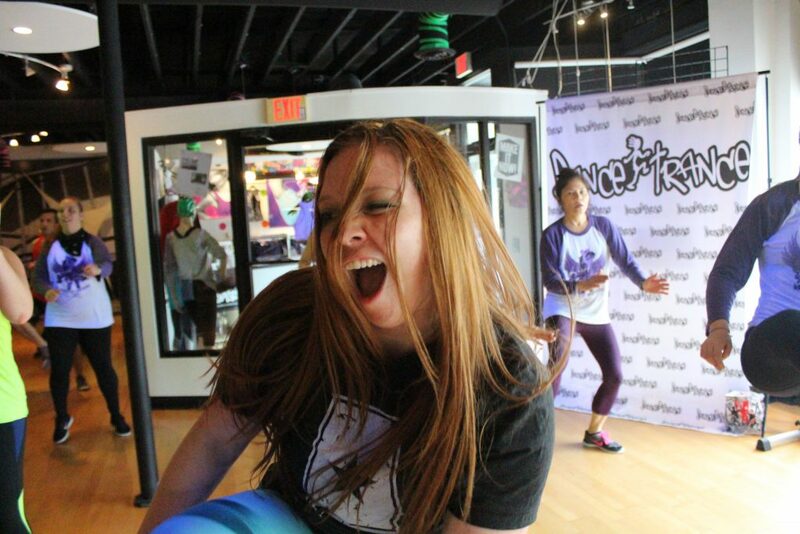 Unlike other dance fitness programs, DT encourages instructors to create and explore their own combinations. Dance is a form of self-expression, and therefore personal. It is absurd to think that every instructor across the nation would look good and feel good teaching the material exactly as demonstrated. Morphing material or developing their own material inside the DT classroom is encouraged and accepted. Dance Trance experts are available daily to help your club with program design, scheduling, class design, promotions, studio and sound set-up, and problems solving the regional personality of membership. Dance Trance has been growing for over 20 years. We have opened many Dance Trance Studios across the globe and we know that each region has a geographic personality. Each studio has its own flavor and we can custom design your program to fit your dance fitness program personality. Custom designed programs are available at special rates and resources can be discussed when contacted.